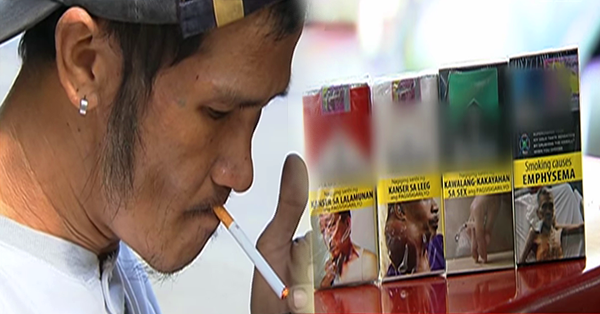 SHOCKING Reactions of Smokers After Seeing the Graphic Health Warnings! One of the vices that a lot of people can't renounce is smoking. Despite knowing its harmful effects, smokers are really unstoppable. Tobacco is one of the leading causes of respiratory illnesses. It can enormously damage the lungs, trachea, larynx and pharynx among others. Smoking is also linked to heart disease, blood cancer, high cholesterol, teeth and gum infections, skin problems, infertility and even erectile dysfunction among men. However, people still patronize the product and tobacco companies continues to gain billions of revenue. The government aims to secure the health of the public. There are efforts implemented to stop or at least warn the public, about the detrimental effects of smoking. The Sin tax law has been signed and executed to fund the sick indigent citizens and discourage smokers to buy cigar, since it will be marketed at a higher price. Aside from that, a law obliging the tobacco companies to put a graphic health warning on cigarette packs has also been enacted. Nevertheless, the smoking public and the vendors have different reactions towards the bill.